Another one off from Ryk. When Ryk started doing stuff in copper, he was like a mad scientist experimenting with different finishes. In fact, the ground water around the workshop is still not safe! 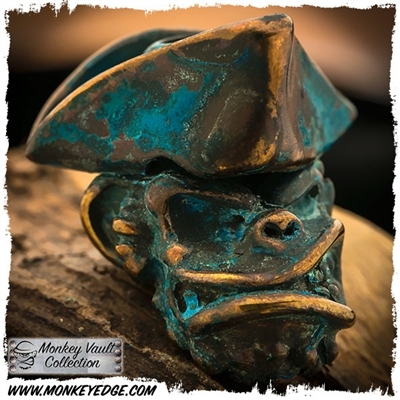 This all copper version of the Mighty Monkey with a tricorn hat was finished in a deep copper patina that continues to change over time. Will look even cooler in 20 years!